How much will I get for pain and suffering from a car accident? It’s a simple question, but it’s not an easy one to answer. Unlike medical bills, missed paychecks, and car repairs, it’s difficult to put an exact dollar figure on pain and suffering. If you’ve been in a car accident, you should schedule a consultation with one of the experienced Los Angeles car accident attorneys at Ellis Law today. Only with experienced legal representation can you be sure that you’re seeking the right amount of compensation. Don’t leave money on the table, or settle with an insurance company for a paltry amount. Protect your rights with a talented attorney at your side. How is a pain and suffering amount estimated? Pain and suffering is compensation for the physical agony and emotional distress caused by another party’s negligence. Generally, your legal team will calculate all the out-of-pocket expenses that you incurred as a result of your accident. This includes damage to property, car repairs, medical bills (including projected future costs like prescription medication and physical therapy), and money to cover lost income while you recuperate. Once this baseline figure is established, it will then be multiplied by a factor, usually between 2 and 5, depending on the perceived severity of your suffering. Mild to moderate injuries and emotional stress may earn you a factor of 2 or 3, permanent debilitating injuries that are known to be extremely painful, like a broken back, the loss of a limb, or severe burns could merit a factor of 4 or 5. Of course, the circumstances of every car accident are different, so it’s important you discuss the details with your personal injury attorney. If you’ve been involved in a car crash, you may want seek as much money as possible. Understandably so, people have a tendency to overestimate their pain and suffering when they are coming up with a dollar amount. Asking for too much will make it difficult to reach a settlement with the other driver and their insurance company. At this point, you’ll have to file a lawsuit. A judge and jury won’t look favorably on someone who is seeking a large sum of money for injuries that appear relatively mild, or aren’t able to be proven (like whiplash, for example). At Ellis Law, we have the experience to seek a fair amount of pain and suffering compensation, depending on your situation. 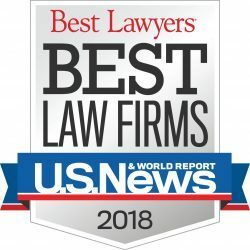 Ellis Law offers free and confidential no-obligation consultations with anyone in the Los Angeles area who has been injured by another person’s negligence. We know how daunting the thought of hiring an attorney can be, and we strive to make the process as easy for you as possible. We can direct you to a trusted physician who can properly assess your medical condition. If you’re too hurt to travel to our offices, we can make an appointment to visit you at your home or care facility. Car accidents are very common in the L.A. area, though we also work with people who have been injured due to slip and falls, defective products, or unprofessional police work as well. If you’ve been hurt at no fault of your own, you make be able to seek cash compensation. Chat with an attorney from our firm and we’ll help you figure out what your next steps should be. 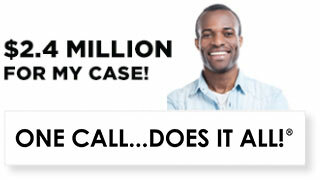 If we determine that you have a case, we’ll get to work right away with no upfront legal fees. 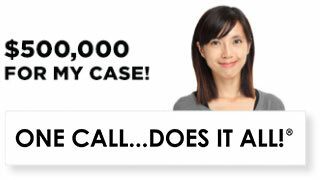 Every one of the Los Angeles personal injury lawyers at Ellis Law works on contingency fees. 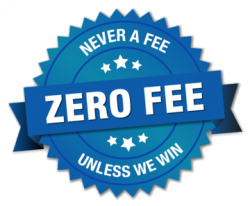 This means we don’t get paid a dime unless you win damages or agree to a fair settlement. In the unlikely event you lose your case, you won’t owe us any legal fees whatsoever. It can be very easy to empty your bank account when you’re hurt and unable to work. However, a lack of funds doesn’t have to stop you from seeking justice. 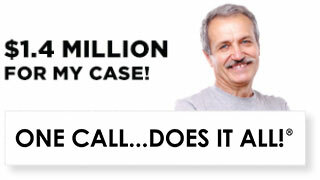 In the 25-plus years we’ve been practicing law, we’ve won over $350 million in damages for our clients. When your happiness, health, and financial future are on the line, turn to a law firm that has a proven track record of getting results.